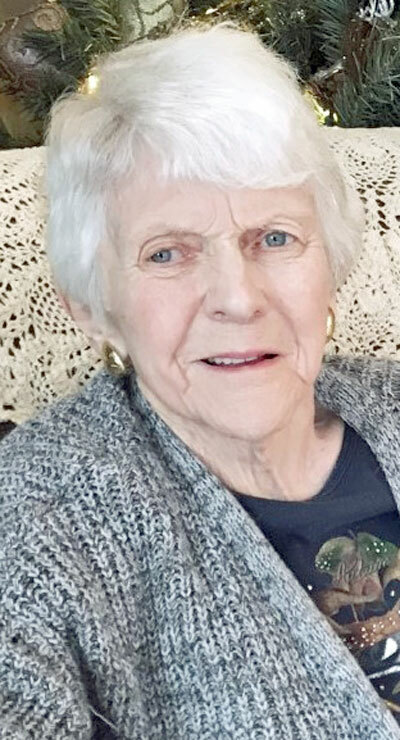 MANSFIELD TOWNSHIP — Elaine H. Johnson, 87, of Mansfield Township, Iron County, entered life eternal on Monday, April 8, 2019, at Iron County Medical Care Facility in Crystal Falls. Born July 25, 1931, in Green Bay, Wis., Elaine grew up in Channing, graduating from Channing High School in 1949. Following completion of business school, Mrs. Johnson worked at an Iron Mountain business until 1952, when she married Melvin Johnson and moved to the family farm, located west of Sagola. They remained there until 1962 when they moved to Mansfield Township. She and her husband own and operate Deerland Potato Farm, along with their sons and grandchildren. She is survived by her husband, Melvin Johnson of Mansfield Township; daughter, Marsha (Roy) Wainio of Sagola; sons, Rodney (Marion) Johnson of Mansfield Township, and Dale (Dee Dee) Johnson of Sagola; grandchildren, Faith (John) Kuzak of Crystal Falls, Jason (Michelle) Johnson of Sagola, David (Heather) Johnson of Kingsford, Kristel Johnson of Madison Heights, Mich., and Katie (Ryan) Lorentzen of Maplewood, Minn.; seven great-grandchildren; and several nephews, nieces and cousins. She was preceded in death by her parents, Carl E. and Judith (Frangquist) Christianson; her father-in-law and mother-in-law, Elmer and Senia Johnson; and a daughter, Shelly Johnson. Visitation will be 2 to 4 p.m. Monday, April 15, at United Lutheran Church: 306 Superior Ave., Crystal Falls. Funeral services will follow at 4 p.m. Pastor Dave Johnson will officiate. A luncheon will be held at the church immediately following the service. Burial will be in Evergreen Memorial Cemetery in Crystal Falls. In lieu of flowers, memorials may be made to the memorial or music fund at United Lutheran Church. Condolences may be expressed to the family of Elaine Johnson online at www.nashfuneralhome.net. The family has entrusted Nash Funeral Home and Cremation Services of Crystal Falls with the arrangements.